Emergency food storage for families isn't this Hollywood style stockpiling of a 10 year food supply in an underground bunker just in case Armageddon comes. It's much more practical, it stays in the kitchen and pantry and you can use it everyday. To make it simple start with a 1 month supply and work up from there to a three month and eventually a one year supply of food that can support your family during a world crisis, natural disaster or personal financial hiccup. The key to getting use out of your emergency food storage is to rotate it, preferably using it on a daily basis. 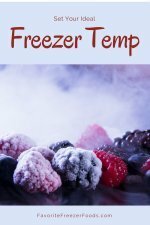 While this site can help you stock your freezer, if you're looking to prepare for the long term there might come a time when you can't rely on your freezer and need shelf stable foods. 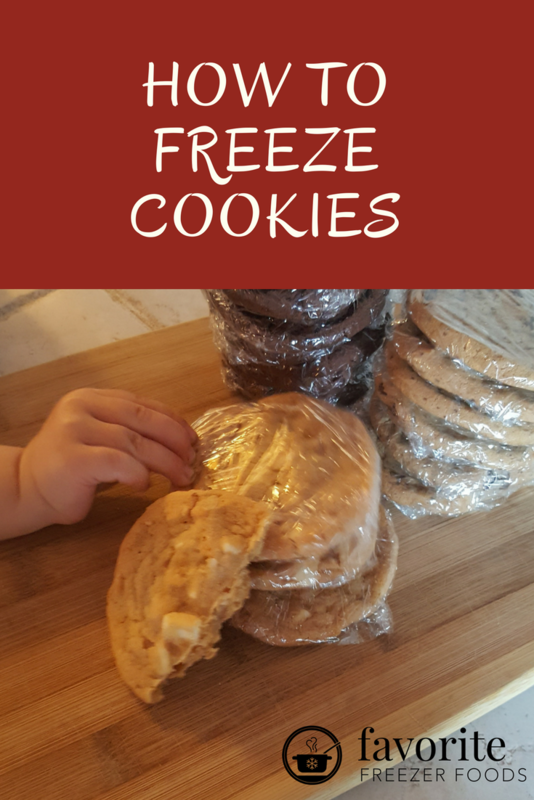 The simplest way I've ever seen food storage broken into an easy to do, one step at time process is in the book I Can't Believe It's Food Storage by Crystal Godfrey. This book is part workbook, part recipe collection and a complete guide to the basics of storing and using dried goods in practical ways. I Can't Believe It's Food Storage walks you through stocking up in quantities that meet your family's needs and using that stock pile in delicious recipes that make you feel like you're indulging. It also provides need-to-know information such as how these items are made, the effects on their nutritional quality, how to store them and how long they keep. The chapters are based on the emergency food storage ingredients; powdered milk, powdered eggs, whole wheat, dried beans and dried fruits and vegetables. Each chapter compounds on the previous one and the recipes include measurements for substituting your food storage for common things like milk, eggs, oil, and white flour after Crystal's taught you how. As a bonus, many emergency food storage items are cheaper than their perishable versions so using the methods in I Can't Believe It's Food Storage can save you money on groceries too. If you use expensive ingredients like Evaporated Milk or Sweetened Condensed milk using Crystal's recipes and the powdered milk in your stockpile those dollars saved can add up fast. Plus you don't have to worry about running out of ingredients saving you trips to the grocery store which saves you time. Every chapter has tips for incorporating these foods into your family's diet where Crystal shares her practical been there done that experience. With each new stockpile item introduced Crystal asks you to commit to three recipes and pick a day to cook each of them with your food storage so you really get started instead of just reading and thinking about it. But with recipes like Rice Pudding, Pecan Crusted Salmon, French Toast with Orange Syrup, 7 Layer Bean Dip and Grilled Pork Chops with Apple-Cranberry Sauce I'm not sure she needed to ask. 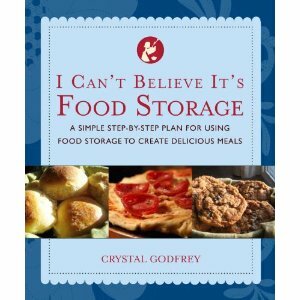 Visit Crystal Godfrey's website Everyday Food Storage for more information including worksheets and how-to videos or buy her book I Can't Believe It's Food Storage from Amazon.